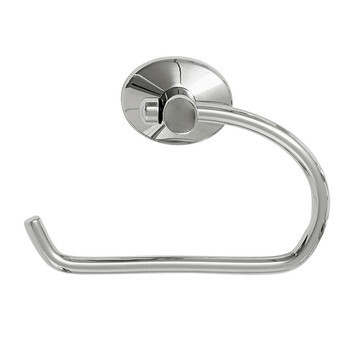 One of the easiest ways to refresh your bathroom is with new accessories. 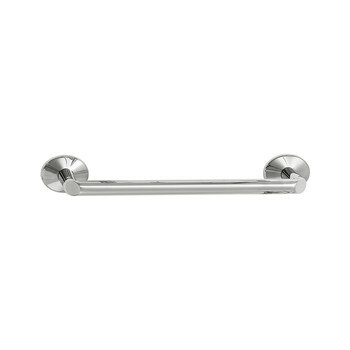 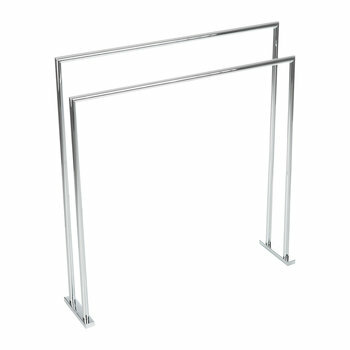 Not only are they great for keeping your bathroom products neat and tidy, they also add a decorative touch to the room. 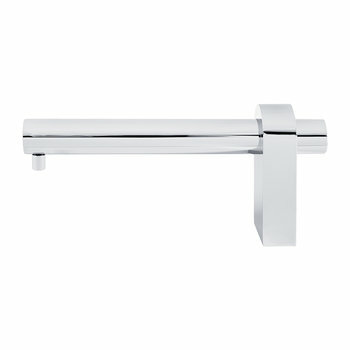 If you have a colour scheme in mind, you can truly bring your bathroom to life with accessories in your chosen shade. 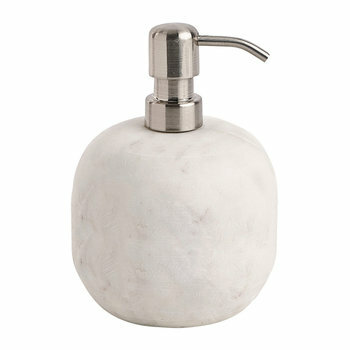 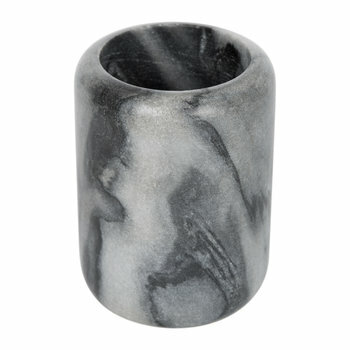 If you prefer a more minimalist style, consider bringing texture to your bathroom with marble or concrete accessories. 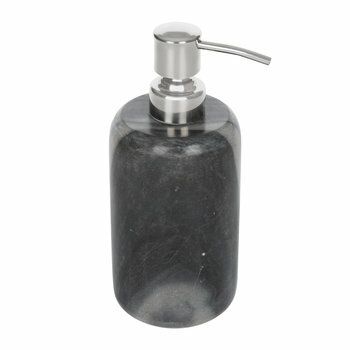 Coordinate your toothbrush holder and your soap dispenser in the same finish to bring the room’s look together. 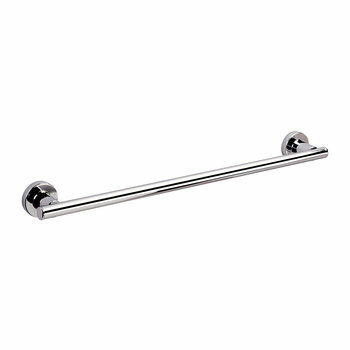 No bathroom is complete without a fresh set of fluffy towels. 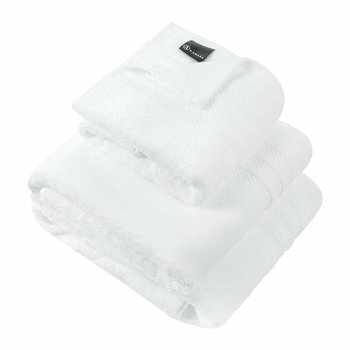 A complete towel set should consist of a face towel, hand towel, bath towel and bath sheet. 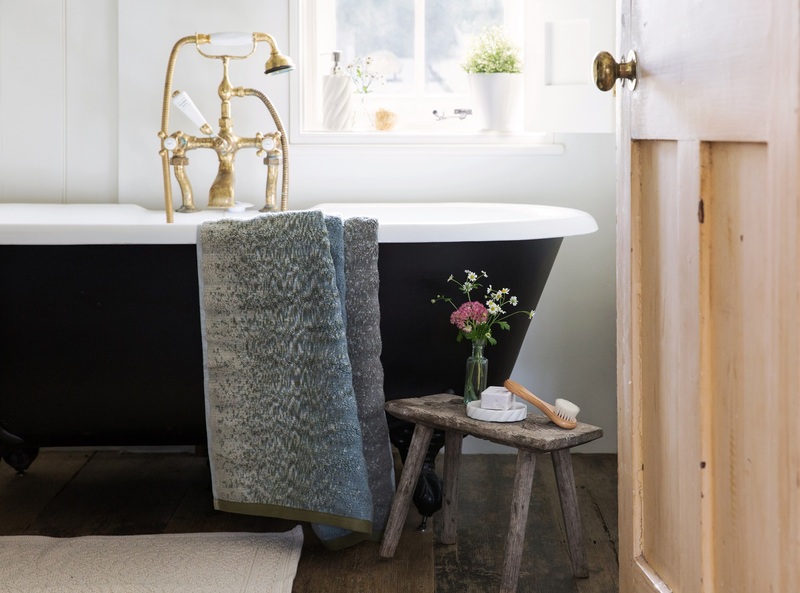 Available in every shade imaginable, towels are great for infusing the room with bold colour and plain, block colours are the perfect complement to any bathroom. 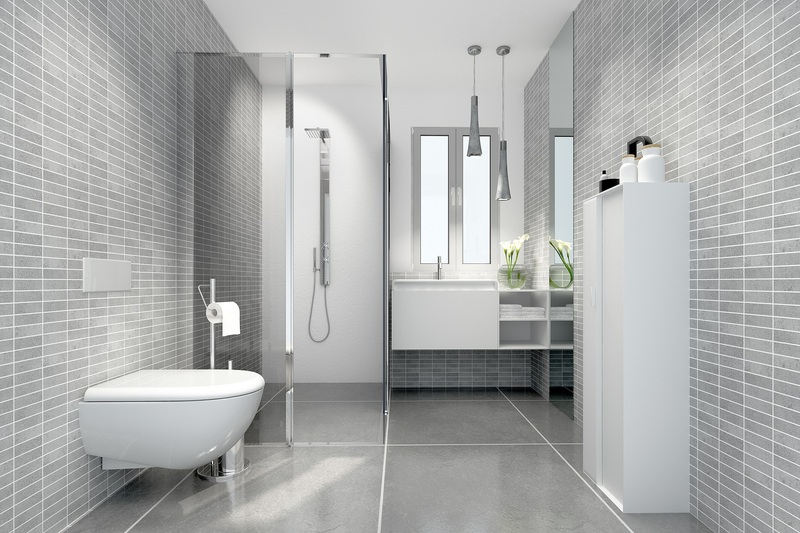 Opt for timeless stripes and busy floral prints to bring a minimalist bathroom to life. 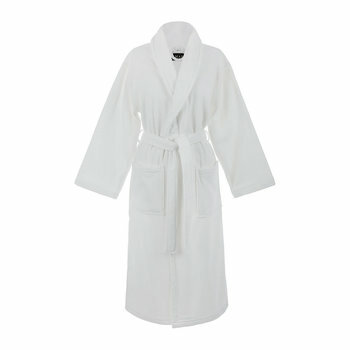 We all deserve a little luxury at bath times. 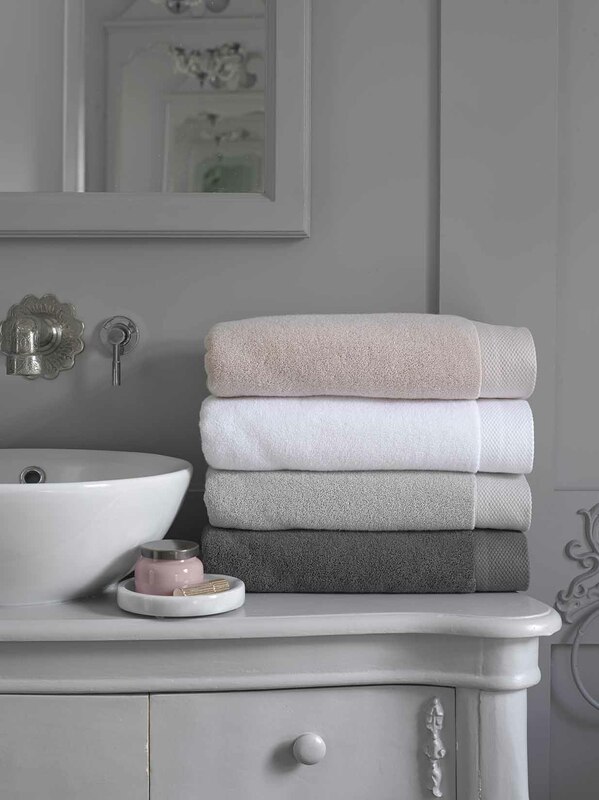 For optimum absorbency and opulence, look to Egyptian cotton towels that have a high GSM. 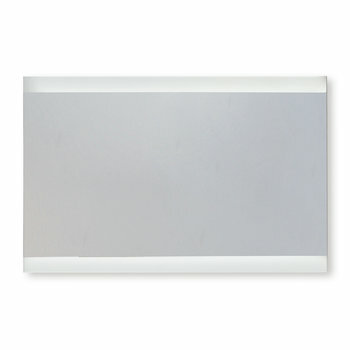 GSM stands for grams per square metre which indicates the density of the material, the higher the GSM, the thicker and more absorbent the towel. 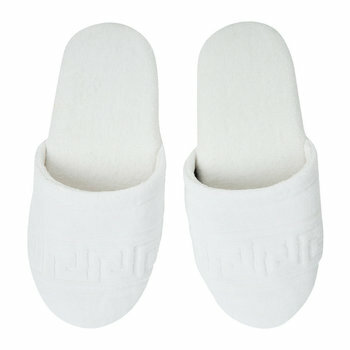 A GSM of 400 and above is a good indication of a thick and luxurious towel. 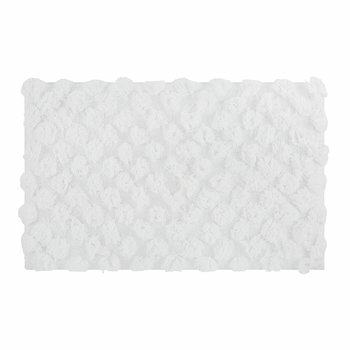 Refresh your bathroom in an instant with a plush bath mat. 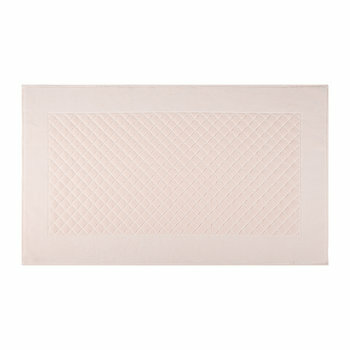 A bathroom essential, bath mats need to be comfortable, practical and nice to look at. 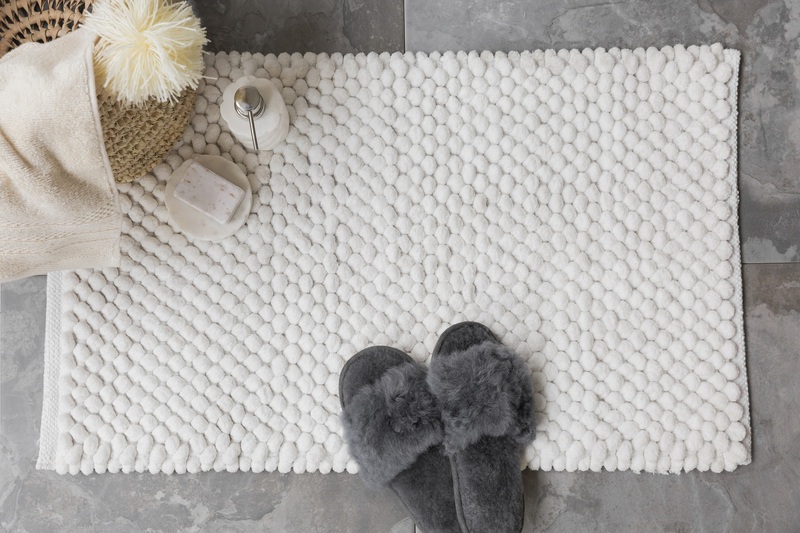 To get the perfect match the first time round, begin by considering the size of your bathroom to determine whether you should go for a rectangular or circular bath mat. 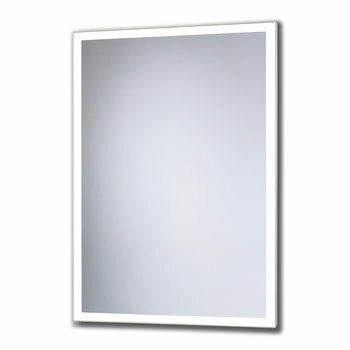 Next, consider your decor and decide whether you want to go for patterned or plain. 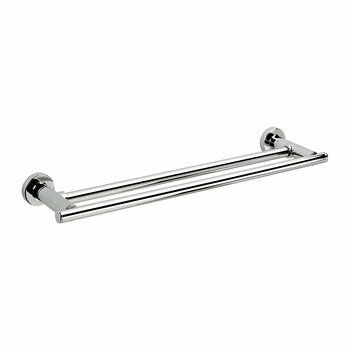 Whatever your preferred choice, pick a style that complements your towels. 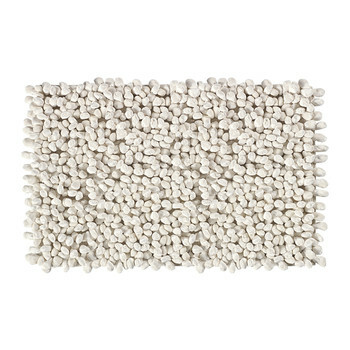 For ultimate luxury, sink your feet into a bath mat with a deep, shaggy pile. 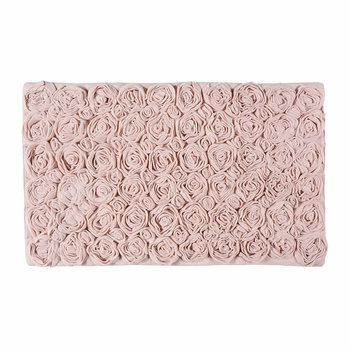 Perfect for bringing luscious textures to your bathroom, this type of bath mat will have your feet dry in no time. 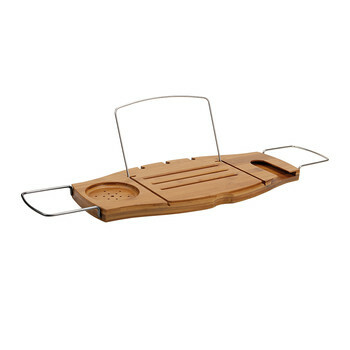 If you want to create a spa-like ambience, a slatted wooden bath mat is the perfect choice. 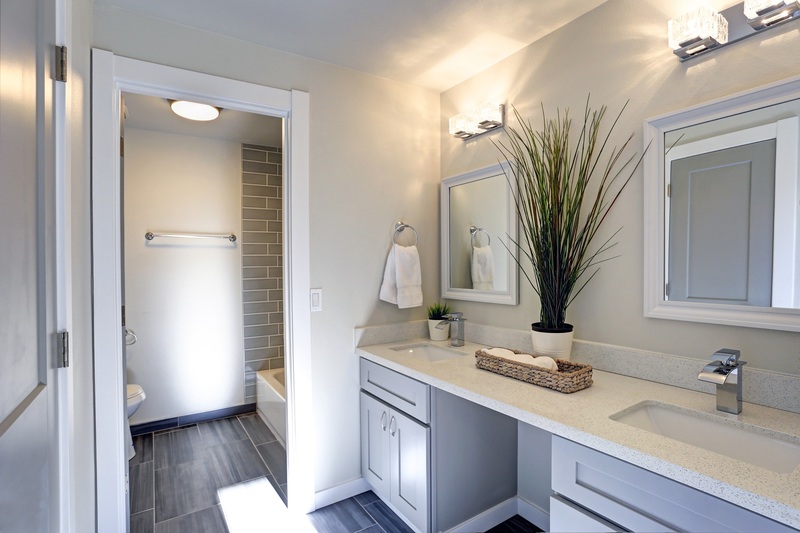 There’s nothing better than a fresh, clean bathroom space and bathroom storage is essential for keeping clutter to a minimum. 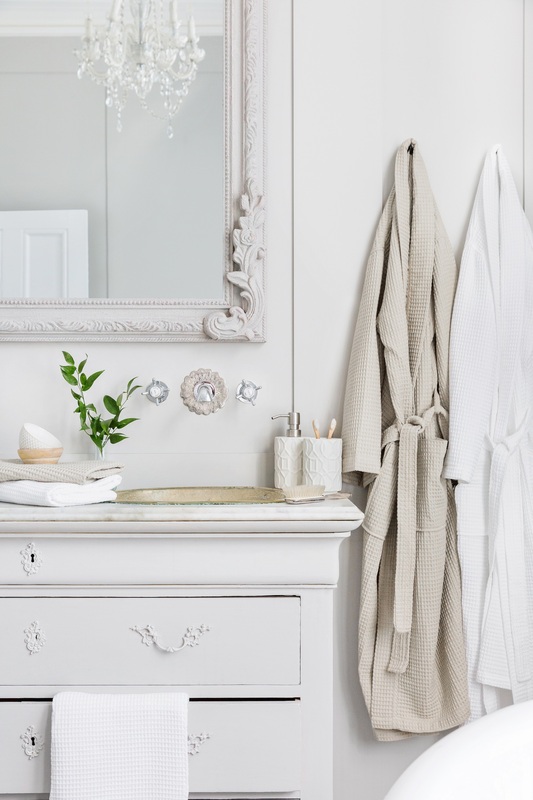 From cotton wool pads to moisturiser and shampoo, your beauty must-haves all need somewhere to live when they aren’t in use. 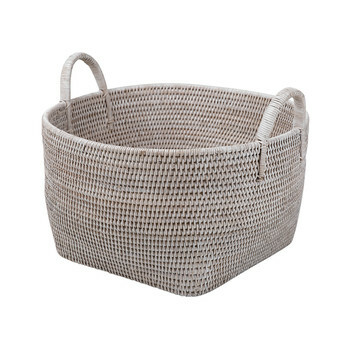 Baskets are the perfect solution, they sit neatly on the floor and can also be placed high on shelves. 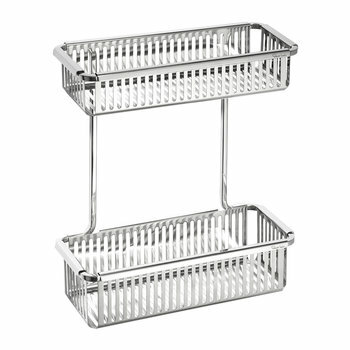 If you have an empty gap under your sink, utilise the space and store a basket or two filled with your bath and shower products or towels. 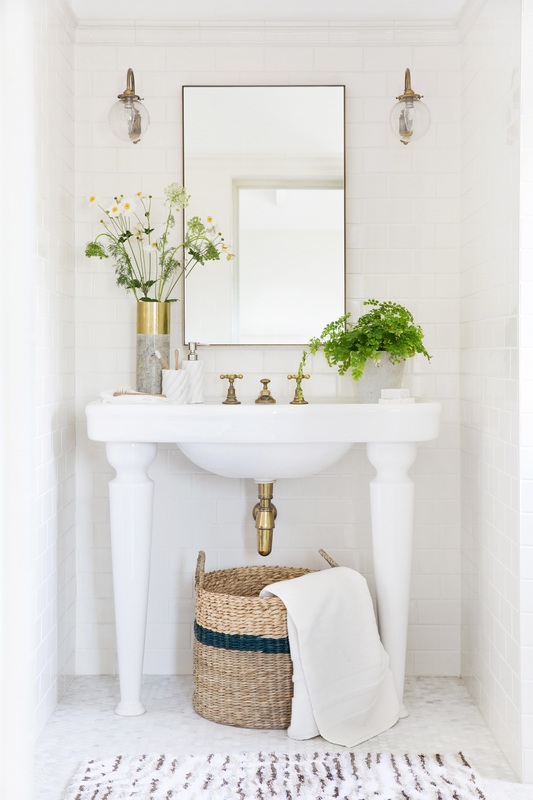 And if you have space next to your bath, place a small fabric lined wicker basket near the tub filled with scented bath salts and oils to create a spa-like feel. 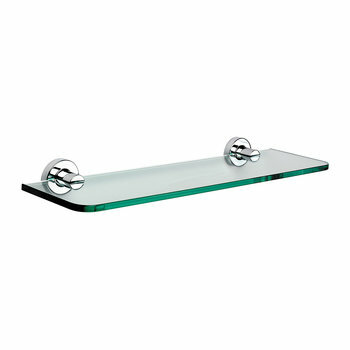 Make the most of your empty wall space with floating shelves. 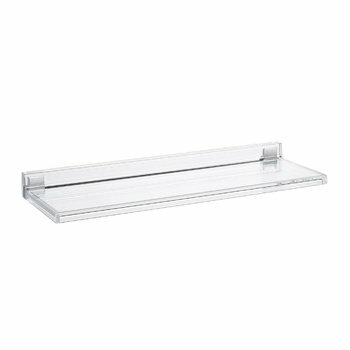 A great storage solution for smaller bathrooms, shelves are perfect for neatly storing your everyday essentials. 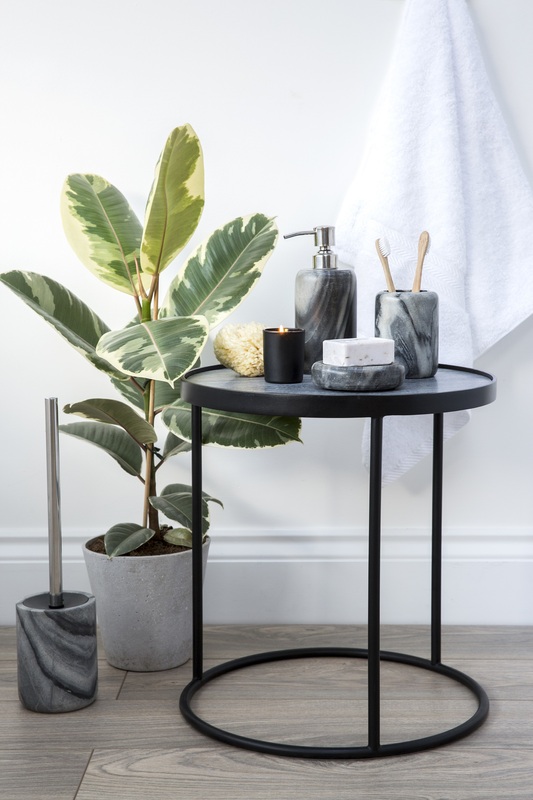 Display your favourite perfume and hand cream next to a small potted plant to add visual interest to your bathroom. 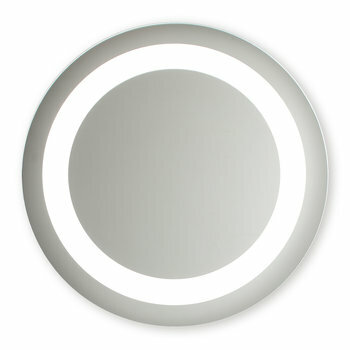 If you’re after something a little more glamourous, transform your bathroom with a chandelier. 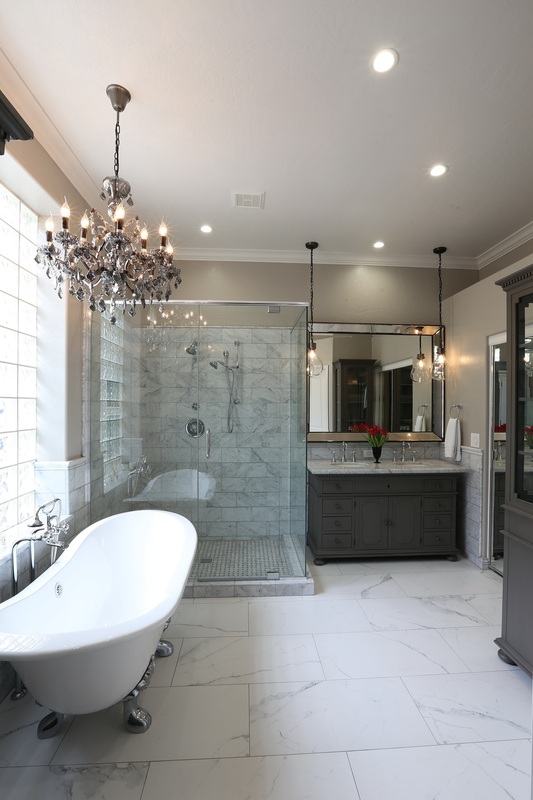 If you have a grand free-standing bath and high ceilings, make the bath a focal point by placing a large chandelier above it to add depth and drama to the bathroom. 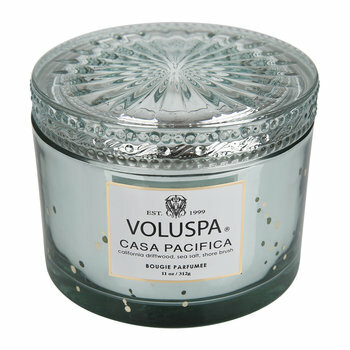 Or place a chandelier in the centre of the room to light up every corner. 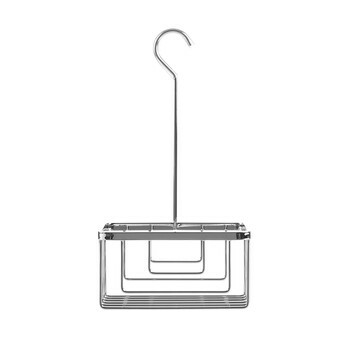 With so many styles and sizes available, you can make a chandelier work in almost any bathroom space.